Also called a sunshine vitamin, vitamin D is essential for the absorption and use of calcium and phosphorus which are necessary for the development of bones, teeth, and muscle strength. This vitamin is key to a healthy nervous system and your immune health. It is also essential for normal cell growth and maturation (final stages of differentiation of cells, tissues, or organs). Laboratory studies also show that the D vitamin keeps cancer cells from growing and dividing, and plays a critical role in controlling infections. Most of the D vitamin is produced in the skin and is quickly absorbed into the bloodstream. The UV energy above 42 degrees north latitude (a line approximately between the northern border of California and Boston) is insufficient for vitamin D synthesis in the skin from November through February. In far northern latitudes, this reduced intensity lasts for up to 6 months. Latitudes below 34 degrees north (a line between Los Angeles and Columbia, South Carolina) allow for D production in the skin throughout the year. 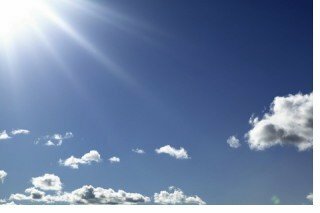 Also, the production of D is blocked by anything that blocks ultraviolet light including sunscreen with a sun protection factor of 8 or more, windows, clothes, smog, fog and skin pigment. Complete cloud cover reduces UV energy by 50%; shade (including that produced by severe pollution) reduces it by 60%. Also, remember that if your shadow is longer than you are, your skin does not produce vitamin D, even in summer. Vitamin A in its retinol form interferes with the proper synthesis and functioning of vitamin D. Make sure your daily vitamin (if you take one) contains vitamin A in beta-carotene form, and stay away from foods rich in retinol - liver, fortified cereals, dairy and juices. The recommended daily intake currently set at 400 IU is insufficient according to the recent studies showing a higher daily intake (a minimum of 1,000 IU) is associated with the lower risk of bone fractures, cancers (breast, prostate, colon) as well as multiple sclerosis. Here is some additional information on the new recommendations for daily intake of D and the role that it plays in disease from the Harvard School of Public Health - Ask the Expert: Vitamin D and Chronic Disease. Sweeping cancer edict: take D vitamin daily - this news article highlights the recommendations that are a result from the recent study suggesting that vitamin D reduces the risk of cancer. The study was published in the American Journal of Clinical Nutrition in June 2007. Read the abstract of this study here. The latest research on vitamin D, articles on this vitamin's role in diseases, experts' opinion on the daily intake, interaction of vitamin D with other vitamins, how to test its levels correctly and more practical information and advice at www.VitaminDcouncil.org - the non-profit organization dedicated to educating the public and professionals about the importance of the sunshine vitamin. Vitamin D intake with foods is insignificant due to the fact that there are very few food sources that contain it. Good sources include fortified dairy products, breakfast cereals and oily fish (salmon, tuna and sardines). That is why additional supplementation is very important. For the list of select foods and vitamin D content in them click here. Could Gluten Sensitivity Be the Cause of Your Symptoms? A Guide to understanding Gluten Sensitivity Symptoms, and what they might mean for your health.